The clean-up operation around the worst nuclear disaster is still continuing. camera (Efrem Lukatsky/AP Photo) This photo taken March 23, 2016 shows an abandoned apartment buildings in the town of Pripyat near Chernobyl, Ukraine. Today marks the 30th anniversary of the Chernobyl disaster in Ukraine, the worst nuclear accident in history. In the early hours of April 26, 1986, Soviet engineers inadvertently set off a catastrophic explosion in reactor 4 of the plant while running a routine test. The blast and subsequent fire that raged for days spread radioactive contamination across huge areas, reaching as far as the United States. Over 3 million people were affected and eventually 300,000 were evacuated. 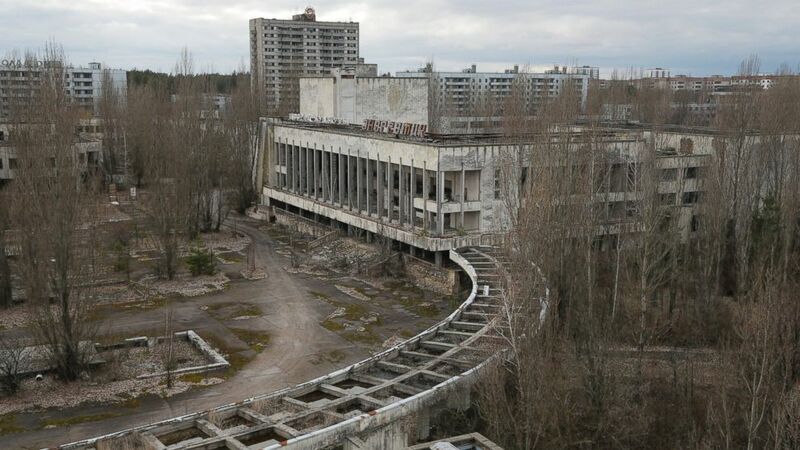 Soviet authorities, after initially trying to conceal the disaster from the outside world and their own people, created a 30-kilometer exclusion zone around the destroyed reactor, resettling the tens of thousands who had lived there. Don't have a cardboard? Move your device around to view in full 360. You can also watch on Apple TV by downloading the Littlstar app. Thirty-one people died from severe radiation poisoning in the days and weeks immediately after the accident. Around 500,000 soldiers and workers -- known as “liquidators” -- were brought in to contain the fire and for the subsequent clean-up. Many were exposed to very high levels of radiation, leaving them with struggling with cancer and other chronic diseases later in life. Thirty years on, the affects of the disaster on people’s health in the areas close to the plant is still heavily contested. (Sean Gallup/Getty Images) The abandoned "Energetik" cultural center, that once housed a library, lecture halls and sports facilities, stands on the former main square overgrown with trees, Sept. 30, 2015 in Pripyat, Ukraine. Although thousands of children have been diagnosed with thyroid cancer linked to radiation from Chernobyl, the UN has said that after decades of monitoring there is no evidence to suggest that the accident had a major impact on public health beyond those exposed immediately after the blast. Local doctors and researchers in Ukraine, however, dispute that. 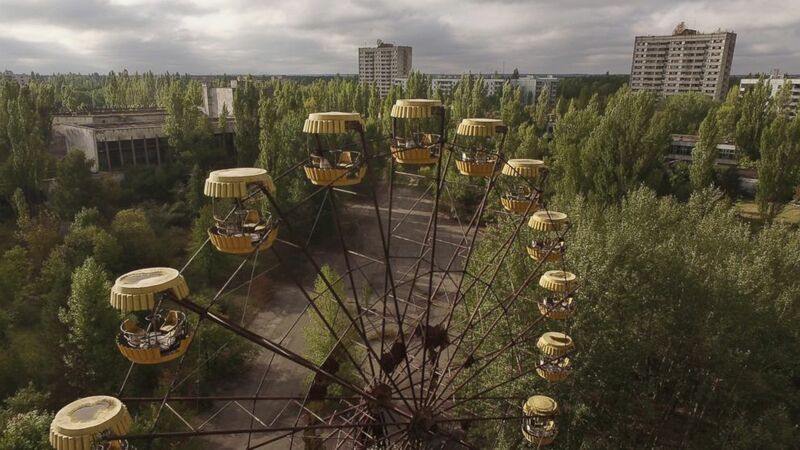 Oksana Kadun, the chief doctor at the local hospital closest to the Chernobyl Zone, told ABC News that she had seen a significant rise in chronic illnesses among children living nearby and that she expected it to only get worse. 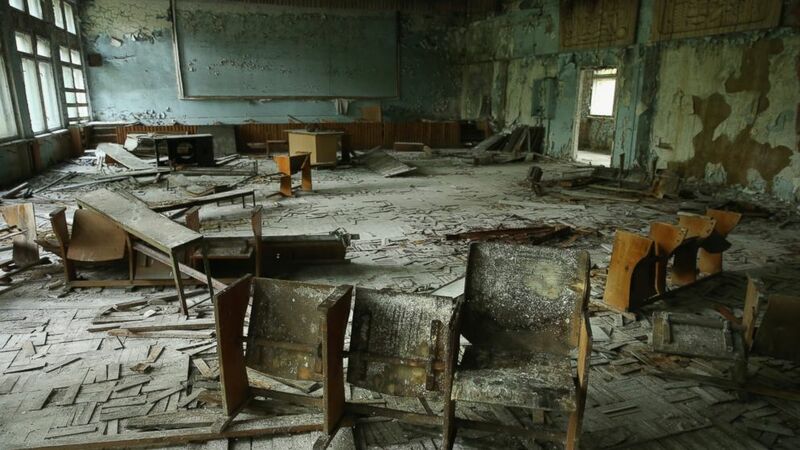 (Sean Gallup/Getty Images) Chairs stand on rotting floorboards in an auditorium of abandoned School Number 3, Sept. 30, 2015, in Pripyat, Ukraine. Around the plant, people are still haunted by the disaster -- sicknesses are common, though many cannot tell if it is radiation or poverty that is more to blame. Meanwhile, the Zone around the plant has grown wild, coming to resemble a nature reserve where animals have thrived in the absence of man. 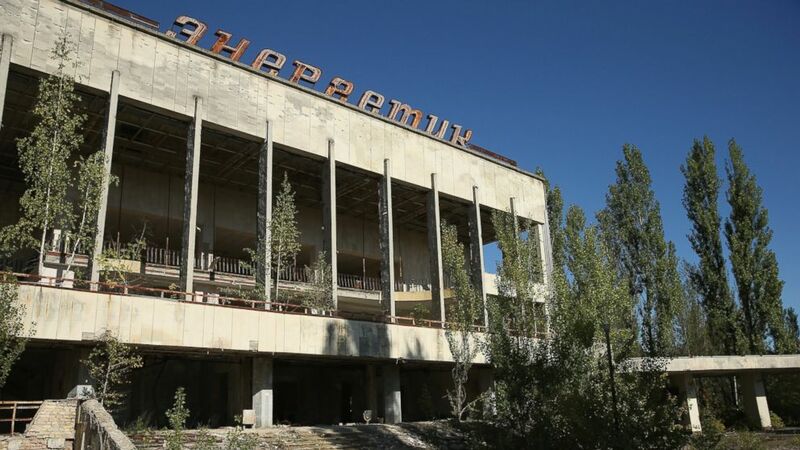 And the reactor and the abandoned towns around it have also become a tourist site, with guided tours given around the nuclear disaster zone. (Sean Gallup/Getty Images) In this aerial view, an abandoned ferris wheel stands on a public space overgrown with trees in the former city center, Sept, 30, 2015 in Pripyat, Ukraine. The clean-up of the disaster is not over, though, even after three decades. A colossal new metal shell to replace the so-called "Sarcophagus" -- the disintegrating steel and concrete container covering the shattered reactor currently -- is being built in front of the plant. It's due to be moved into position in 2017.